Why Is There A Commotion? Our weekly explainer on economics using lessons from popular culture. In Installment 5, Ghulam Ali argues against punishing victimless crimes. ‘Why is there a commotion?/ I’ve just drunk a little bit./ I haven’t robbed anyone/ I haven’t stolen anything.’ These excellent words were written by Akbar Allahabadi, a poet who straddled the 19th and 20th centuries, and whose day job, at one time, was as a sessions judge in the Allahabad High Court. Who knows, these memorable words might have been inspired by the plea of a drunkard hauled up before him. I was just exercising my right to religion, yer honour. I was in the company of an old monk. 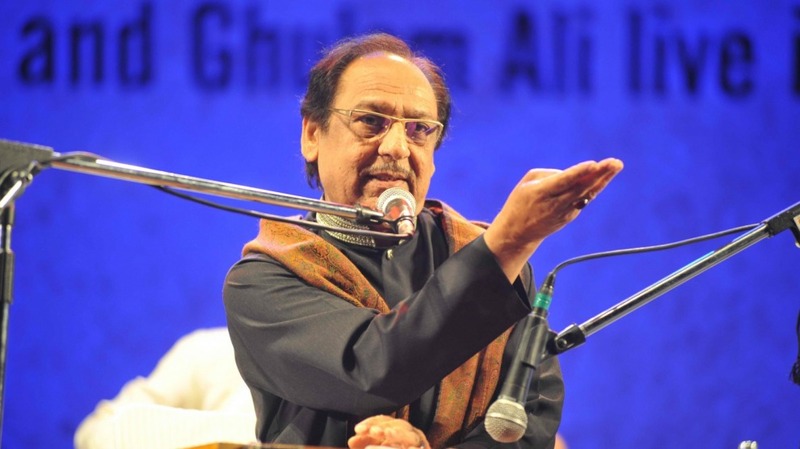 Ghulam Ali turned Allahabadi’s lines into an excellent ghazal, which sounds even better if one is imbibing a single malt while listening to it. And the economics lesson contained in these immortal words is an obvious one: Don’t punish victimless crimes. We carried a series of pieces on victimless crimes here in Pragati; check out our pieces on gambling, alcohol, cannabis and prostitution. There are two arguments against criminalising any of these. Argument one is a moral argument. The purpose of the law is to protect the right of others. Yes, in all of these activities — whether one drinks alcohol or gambles or smokes up or carries out a voluntary sexual transaction — no one’s rights are infringed. The state has no business stepping in, and by doing so is itself infringing the rights to the person smoking or gambling etc. It is true that one may commit a crime when under the influence. In that case, we should punish the individual for the crime committed. If someone daals a daaka after a few pegs too many, you punish him for the daaka. You don’t punish all drinkers, most of whom are law-abiding, ghazal-listening citizens. Argument two is a practical argument. What happens when you ban a victimless crime? The underworld steps in. The underworld then buys the support of the law — especially likely in India, where our cops are underpaid and over-powerful, if I may invent a term — and all bets are off. Thus, matchfixing is more likely when the underworld runs gambling. Trafficking is more likely when the underworld runs prostitution. Adulteration of booze is more likely when the underworld runs the alcohol business. Lawmakers are often in connivance with the underworld here, for what it’s worth. This is what the economist Bruce Yandle described as ‘Bootleggers and Baptists.’ And though Ghulam Ali got this right, Bollywood often gets it wrong. Akbar Allahabadi was clearly one of those men who combined both wisdom, and the art to convey this wisdom. Or maybe he just liked his drink. Either way, we should all thank him and Ghulam Ali for the moments of joy they gave us. Let this article be my toast to them.